It helped achieve a salon-worthy style in minutes! Mornings are usually a stressful affair for me. Whether I've slept through my alarm clock or just waited until the last minute to roll out of bed, getting ready for the day can be rough. That's why I'm constantly on the hunt for products that cut down the time I need to spend on my morning routine. 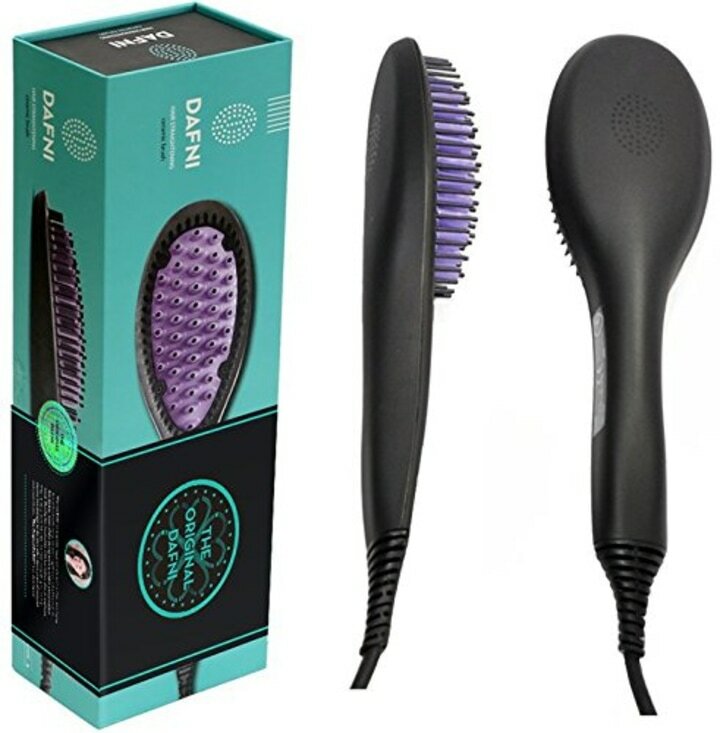 When I heard about the Dafni ceramic straightening brush, it sounded like the perfect solution to my early morning lethargy. With the push of a button, the brush heats up to 365 degrees in less than a minute. Then, it can straighten strands in one stroke. The first time I used the tool, it was easy. 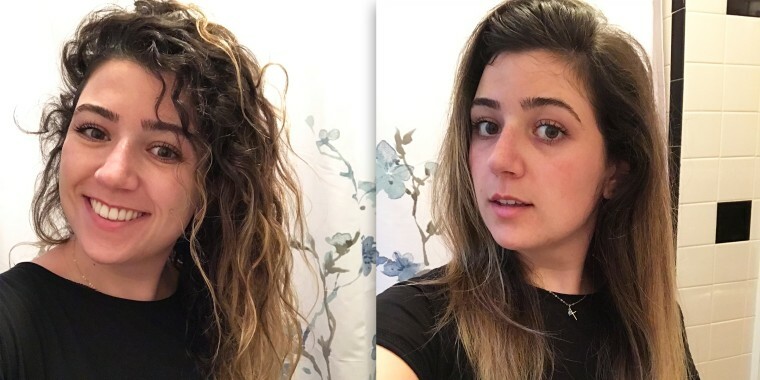 I was able to comb through my hair the way I would with any other hair brush, but the heat transformed my air-dried, disheveled locks into a smooth style that looked like a professional blowout. The whole process was fast (around 5 minutes) and I found I got the best results brushing from underneath. I have shoulder-length, relatively straight hair, so I enlisted the help of some co-workers with longer, curlier hair to try it out as well. TODAY Editor Bryanna Cappadona took the brush for a spin. She has longer, curly hair that she straightens on occasion. Cappadona said she was definitely impressed by the brush's speed and some of the features that set it apart from a traditional straightening iron. "You can get really close to your root," Cappadona said of the brush's ability to combat the dreaded straightener crease. She also liked that the large, light-up power button made it less likely that she'd forget to turn it off before you walk out the door. Though, if that were to happen, the brush automatically turns off if it hasn't been used for 15 minutes. Fellow TODAY Editor Jordan Muto, tried the brush on her long, naturally wavy hair. Her goal was to maintain volume while smoothing her strands. She had some success, but found she had one crease near her scalp that just wouldn't budge. Still, she said, "I definitely think it's a cool invention and I'm glad I got to try it out." With so many different hair textures out there, the Dafni brush might not be as effective for everyone, but we certainly enjoyed taking it for a spin!